Struggling to lose weight after 40? 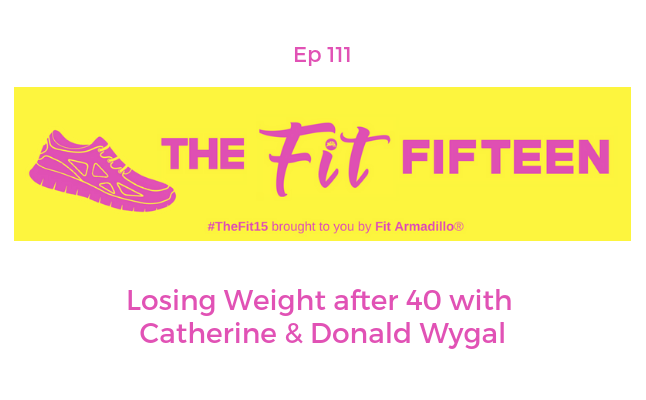 Catherine and Donald Wygal prove you can lose weight after 40 and share tips that have helped them lose a combined 250 lbs. Did they go on a fad diet or hire personal trainers? Nope! You're sure to be inspired after listening to this couple share their weight loss journey. Today's episode focuses on losing weight even when you're "too old" and working on your mindset. The couple comes back to share more inspiration tomorrow. Don't want to wait? They have their own podcast show, We Only Look Thin, where they share their fitness journey. gimmicks and restrictive diets, these two finally got their health goals synced and sustainable in 2016 and have lost a combined 255 pounds. 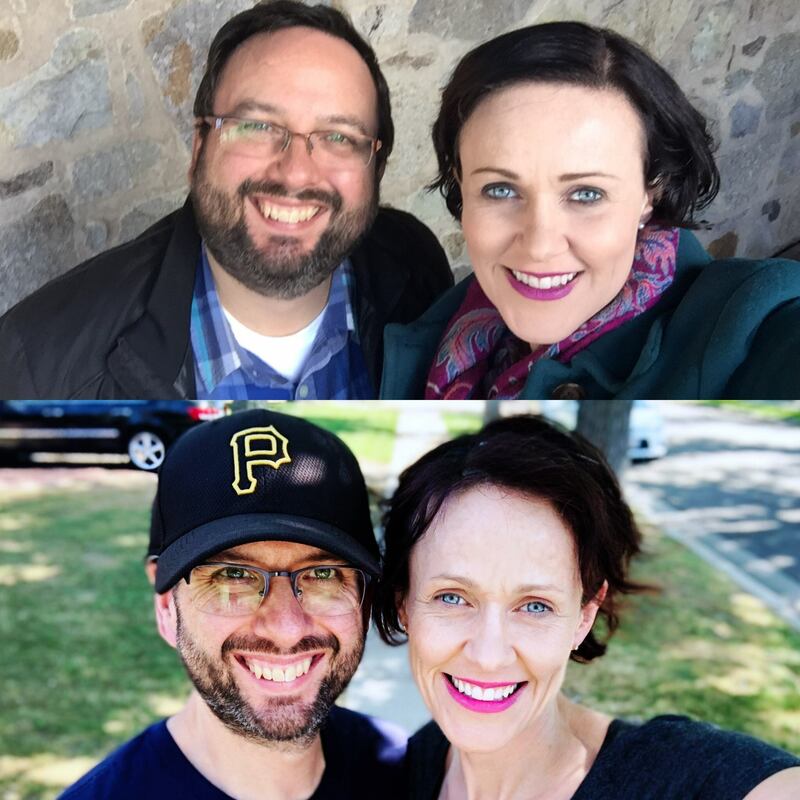 The pair started the We Only Look Thin podcast in 2018 as a way to share their experiences in overcoming co-dependent, disordered eating. With a light hearted message of incorporating sustainable changes and taking accountability for one’s choices instead of being victims of circumstance, Donald and Catherine make it clear that there is no “finish line” to weight loss. Their weekly podcast tackles sensitive topics such as secret eating, bulimia and weight regain, while also injecting a bit of comedy to the often serious subject of weight loss. 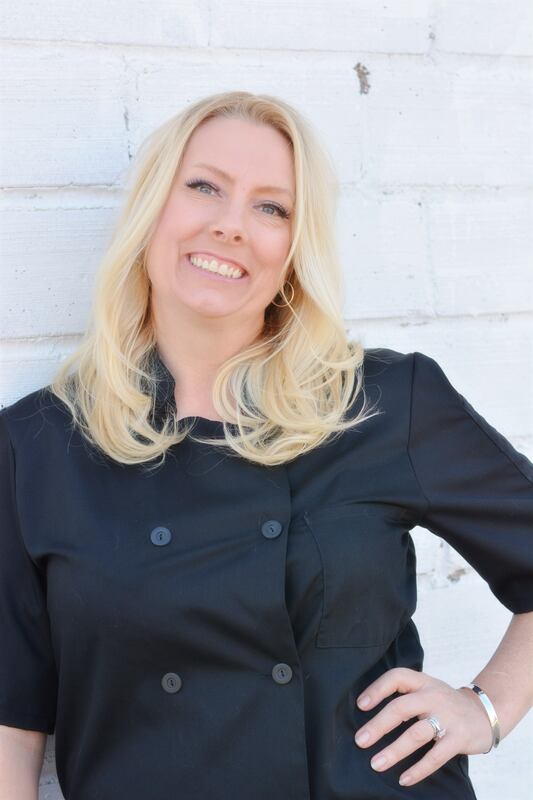 Episode 103: Health Coach Debra Aplis, who I also met through the 2018 IDEA World Convention shared what it's like to work with a health coach and her fitness journey. She has an online health coaching program starting up TODAY. Check the show notes to learn how to get in touch to sign up for her program. Episode 94: Deena Kastor, the American women's record holder in the marathon, also talked a lot about mindset. I highly recommend her book, Let Your Mind Run, for runners and non-runner looking for inspiration and motivation.